LANmark-OF Snap-In adaptors have been designed for installation into the LANmark-OF snap-in panels, ZD boxes and outlets. 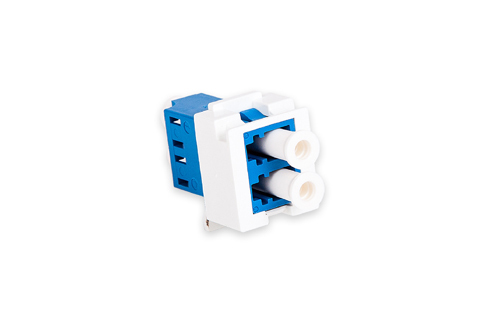 They are available in single SC, duplex SC and duplex LC duplex.The multimode adaptors are aqua, the singlemode adaptors are blue while the singlemode APC adaptors are green. Installation time is saved as the snap-in concept replaces the timeconsuming screwing attachment of the traditional adaptors.